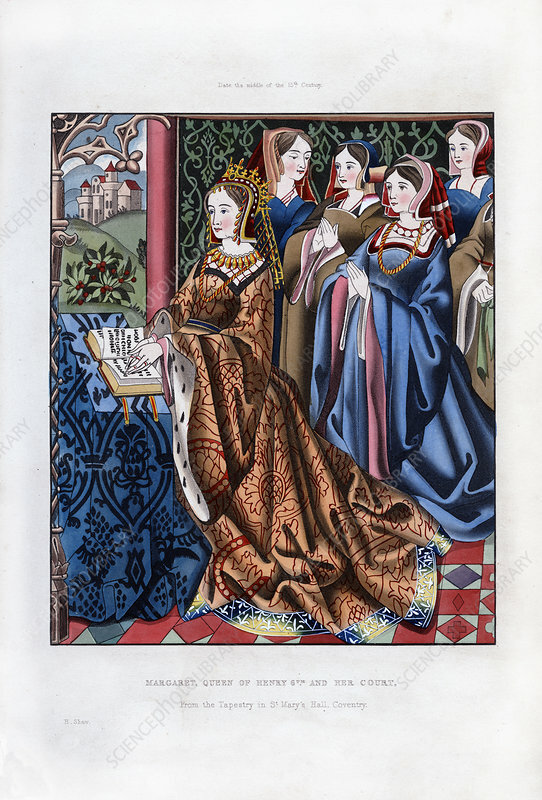 Margaret, Queen of Henry VI, and her Court, mid-15th century, (1843). Margaret of Anjou and her ladies are praying. The woman behind the queen may be the Duchess of Buckingham. From the tapestry in St Mary's Hall, Coventry. Illustration from Dresses and Decorations of the Middle Ages from the Seventh to the Seventeenth Centuries, by Henry Shaw, (London, 1843). Artist: Henry Shaw.